Forgive my eavesdropping ways, but I think anyone’s ears might perk up when overhearing a statement like that in the Whole Foods produce section. Intrigued, I snuck closer to the conversation that was transpiring between the produce clerk and customer. 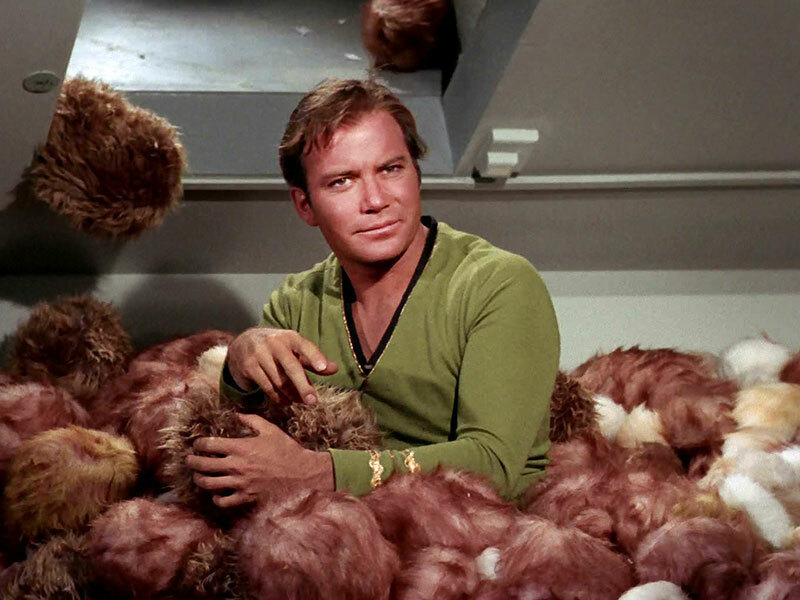 I had a feeling I knew exactly the mushroom he was referring to, and sure enough, nestled in his hand was what appeared to be a small, bright white furry creature (a tribble? ), but in reality was something much different. A mushroom indeed! Lion’s mane mushrooms may well be the cutest mushrooms you’ll ever happen upon at the farmers’ market or grocery store, and delicious, too. And, thanks to functional mushrooms’ rocket rise in popularity over the past several years, lion’s mane is as abundant as ever in the produce section. But did you know this super fluffy marshmallow of a mushroom isn’t just super tasty? Lion’s mane, whether eaten as part of a meal or used in a decoction could support brain function, memory and cognition, making it the perfect addition to your 2018 routine. Though it may look like a creature from another planet, lion’s mane mushrooms can be found right here in the states. Native to North America, Asia, and Europe, this “tooth fungus” (a class of fungi that produce spores on tooth-like appendages – fun!) is white and shaggy, and prefers growing on the sides of hardwoods, especially beech trees. Used for centuries in traditional Chinese medicine, lion’s mane has been gaining traction in the west as functional mushrooms rise in recognition and popularity. But first, what’s a “functional mushroom”? This classification refers to a group of fungi used for medicinal purposes, including reishi, cordyceps and chaga. Often used for centuries in Chinese medicine, these mushrooms are finally gaining popularity for their use as adaptogens, helping the body adapt to everyday stress. What sets lion’s mane apart from the rest? It’s also super tasty. Categorized as a nootropic, meaning it’s consumed primarily for its potential to support brain health, lion’s mane, whether eaten as part of a meal or used in a decoction, could support brain function, memory, and cognition. Some studies even show lion’s mane could slow or even reverse cell degeneration. Lion’s mane could possess anti-inflammatory properties, making it ideal for gut health, and potentially providing positive effects for the entire system. In everyday life, when consumed as a powder or part of a tincture, lion’s mane could support concentration and cognition, making this mushroom ideal for the office or staying focused on a project. How do I use lion’s mane? Lion’s mane can be chopped and sauteed like most culinary mushrooms, or ingested as an adaptogen in a decoction or tincture. As part of your meal, lion’s mane has a satisfying meaty texture, similar to that of lobster (and far cheaper, too). Try the two recipes below — the sauteed dish is great as-is or tossed with a pasta or sauteed greens, and the latte is amazing as a morning pick-me-up. Wipe lion’s mane down with a damp paper towel or cloth to remove any remaining dirt. Slice lion’s mane width-wise into ½” “steaks”. Heat ghee in a pan on medium heat. Add lion’s mane and saute on either side until tender. Season with salt, pepper, and garlic powder. Combine all ingredients in a high speed blender and blend on high until smooth and frothy. Pour into a mug. Enjoy! Shop all lion’s mane products here! HAMSTER MUSHROOM IS SUCH A CUTE NAME FOR LION’S MANE! THANKS FOR THE INFORMATIVE POST!